True story: When I was a kid, I used to read interviews of writers and musicians that I liked and then write up my own answers, as if the interviewer were interviewing me. I have a handwritten copy (hidden) somewhere, where I usurped an Andrew Peterson interview and supplied my own answers. YOU GUYS, MY DREAMS HAVE COME TRUE. Only I’ve never been fake-asked hypothetical questions quite as colorful (AND WONDERFUL) as the ones Knox McCoy for-real-asks me for my induction into Awesometown. 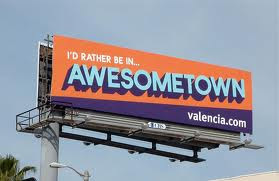 I hear Awesometown has its own city blimp. And the public transit system is made up entirely of go-karts and water slides. And the juice boxes come in adult sizes. AND I’M ITS NEWEST RESIDENT. See, kids, dreams DO come true, especially when you dream about being inducted into a magical land full of awesomeness. YOU FORGOT LAZY RIVERS. They are LEGION. I really want this place to be real. Work on it, Knox. Knox has finally rectified his crime against humanity. Um. “I used to read interviews of writers and musicians that I liked and then write up my own answers, as if the interviewer were interviewing me.” Should I be embarrassed to admit that I STILL do this in my head when I read interview. I should probably be, but I am not. at all.